Some retailers have their own policies and restrictions. Before shopping, please ensure you review the Special Terms of Seafolly (above) for further information. Complete your purchase in one session and without leaving Seafolly. Do not click on any bookmarks or advertising banners or links once you leave ANZ Bonus Points Mall. 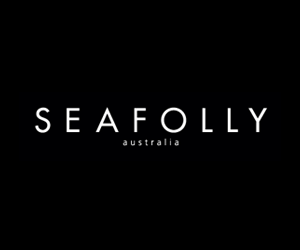 Seafolly.com.au delivers only to Australia. Free Shipping on orders over $50. All goods purchased on Seafolly.com.au will be dispatched within 1-3 working days and will receive a tracking number sent upon dispatch to the order email address. We accept Visa, MasterCard and payments via Paypal. Seafolly Australia is passionate about ensuring that you are completely satisfied with your purchase. If you change your mind about an item purchased on Seafolly.com.au, you are entitled to an exchange or refund within 31 days of receipt should it meet the requirements found in their Return Requirements Policy.